Automotive marketing companies Trader Corporation and Convertus have recently joined forces. 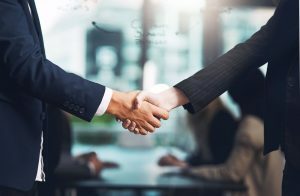 What exactly does this acquisition mean for dealers? If you’re a Canadian dealership working with one of these companies, you need to know about this merger. The landscape of Canadian automotive digital marketing is about to change and in order to make sure your dealership isn’t caught in the middle, you need all the details. We’re sure you’ve already heard of Trader. Trader is a giant in the Canadian automotive marketing industry and, for the past 10 years, Trader has worked with the company Dealer.com to deliver websites. They are now ending that relationship and starting one with Convertus, a Vancouver-based digital marketing company serving Canadian dealerships. This recently announced acquisition means Convertus will now build all websites sold or managed by Trader. Convertus will still operate as a separate entity from Trader but will have access to Trader capital. The two Convertus co-founders, Kevin Gordon and Nicholas Williams, will continue to operate from their Vancouver office. Although the merger isn’t expected to finalize until October 2019, the transition is already ongoing. This is going to cause some shockwaves in the industry as some clients will be ready for these changes and others will not be as prepared. If you will be impacted by this upcoming merger, make sure to plan some time—well in advance—to go over your options and understand how this impacts your dealership, as well as leave time to have all your questions answered. Will my current contract remain in place after the merger? Will there be changes to the Convertus CMS? Will your data now be shared with Trader or with Convertus? Will I get my technical support through Convertus or Trader? What are the up/downsides of partnering with such a large organization like Trader? If your dealership is impacted by the Convertus/Trader news, you aren’t alone. There are many dealers across the country asking the same questions and wondering what to do. Don’t wait until the last minute to figure out you need to change websites or reevaluate your online strategy. Although this change will disrupt the industry, it doesn’t need to disrupt your business. We’re here to help, whether it’s just to share our advice based on years of industry experience, or if you are looking around for new options, we would love to talk to you. Let us know what you think about the merger announcement by filling out our simple survey below.